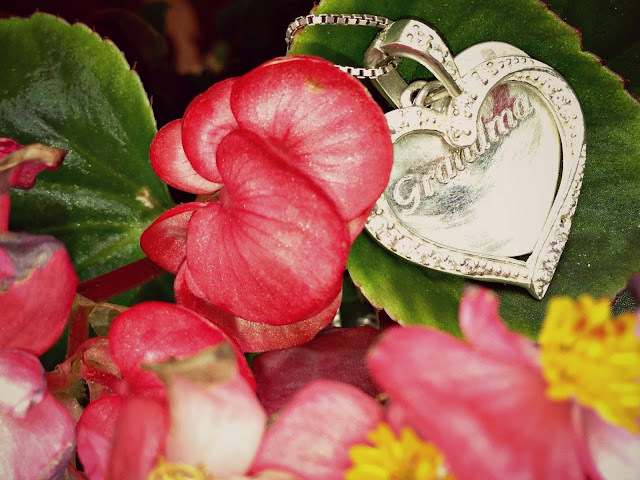 Today we will hear what it is like to be a grieving grandparent from my mom, Grandma Gerry. Thank you, mom, for being brave enough to share some of your deeply personal emotions. I know that is hard to do. Even though it might be hard, from your writing I have learned so much more about your experience of Nora and of grief. And though I am far away in distance, I feel and know I am close in your heart with the words you share with me and others. It has been almost five months since our granddaughter, Nora, was born dead. I think about her all the time. I also think about what Lindsey and Nick must be going through all the time. I know that I have experienced some difficult times with grief so I can’t even fathom the grief that the two of them must endure. The hours in the hospital waiting for Lindsey to deliver Nora were some of the hardest moments of our parenting lives. I know Bob, who likes to confront things head on, had a hard time adjusting to the fact that there was nothing he could do to help or control this situation. I just wanted to be with Lindsey, but I also realized that Nick and Lindsey needed their space. Lindsey had made it known to Bob when she called with the news that she wasn’t ready to talk to me as it would make her lose focus and she needed to focus on birthing Nora. Part of me feels that she was afraid that I would be disappointed in her—which I wasn’t. Disappointed in the universe-yes; my daughter-no. A mother’s love never fails. I can see that with Lindsey and Nora. How does one go about parenting a child who has lost a child? I have tried hard to navigate the many signals that Lindsey has given me, along with using some of my mothering intuition. The days after Nora’s delivery Bob and I stayed in the area with Lindsey’s sister Kristi, and her husband Zach. We didn’t want to intrude in Lindsey’s and Nick’s grief—it is such a personal experience—so when Bob and I visited Lindsey and Nick, we did so on the premise of ‘helping out’. And we did help out by doing some light cleaning and cooking. But Lindsey and Nick finally told us that they just wanted us to be ‘there’ to sit with them. They just needed us to ‘be’. And so we did. Those first few days we listened to their needs and responded as best we could. Lindsey asked us to help with the funeral by getting food and flowers. This was a good task for Bob, as he could finally have some semblance of control over a very difficult time in our lives, or maybe he just wanted to do something for the granddaughter he would never get the chance to know. For me, dealing with the food and funeral flowers was like putting a period at the end of a sentence. Finishing a part of our lives that hadn’t even got started. After a week in Minneapolis with Kristi and Zach, and traveling to see Lindsey and Nick, Bob and I headed home after Nora’s evening funeral. I don’t think I stopped crying for the whole four and a half hour drive. Now our parenting comes at a distance. We keep in touch almost daily. I was very concerned at first about Lindsey’s seemingly lack of grieving. Lindsey seemed to be so strong, and I rarely had seen her cry. Unbeknown to me, she had many silent tears in the evening after people had left—just like she used to do as a child. When she was little I would put her to bed after family had spent the day and she would cry and say how she missed everyone. I should have known that she would grieve now as she did then. I was relieved when she started this blog because I could follow her grieving and could see her progress. I spent a week at the end of January with Lindsey and Nick. We cooked together, something that Nick really does enjoy doing and learning about, and something that I am pretty good at. Lindsey and I spent time shopping, and I started collecting items for my scrapbook for Nora. Scrapbooking is one of my therapies, and I needed a physical reminder of Nora. I have pictures of the baby shower, Nora growing in her Mom’s tummy, and combined some of the posts from the blog into the scrapbook, along with some of the ‘white signs of grief’. This will be one of my memorials for Nora. Another therapy of mine is gardening. I have loved gardening since about the sixth grade, and have many flower and vegetable gardens. My scrapbooking sisters had decided that they, along with my real sisters, would put in a garden for Nora. I decided on a whimsical, nursery rhyme theme, and it is slowly taking shape. I attached it to a current small bed I have, and got rid of the grass adjacent to the bed with roundup in a free form. A couple of days after getting rid of the grass I realized that I had free-formed a heart shape. I guess my subconscious was at work here! It will take shape over the next couple of weeks and I will happily share the outcome of the sister’s work in ‘Nora’s Garden’. Bob is not much for openly grieving, and it is sometimes hard to determine what he is feeling. His sadness would show in his eyes, though. He was really looking forward to being Nora’s Grandpa. When I asked him what the hardest part of our losing Nora was, he replied ‘seeing my wife, Lindsey and Nick, and Kristi and Zach in pain’. Because he knows that that pain—grief—is something uniquely personal, and something he cannot control. There will probably never be a day that I don’t grieve for Nora. I am hoping that by making my memorials and working through the grief with Bob, Lindsey and Nick, and Kristi and Zach, that it will become less and less painful. To my dear friend and her family ~ well said! You are in our thoughts often and I am happy to be part of the 'Nora's Garden' project. We have just lost our grandson Brenen Shane, two days ago. Your story has helped me this morning. I know there are many of your out there. As my daughter was delivering Brenen. (We had chosen to stay home and not go to see our daughter, as I felt this is something they, her husband and her, needed to go through together without Us there, we where there in prayer). I saw a double rainbow. and was reminded that my father greeted this child of God's when he went home. and I had peace.. but still with sorrow. My heart is sadden for my child and her husband and for my other grandchildren. We will see Brenen again, and God has his reasons. I find comfort in knowing Jesus is in charge. I still have sorrow, and will cry from time to time. But I also have peace. Beautifully said, and it is exactly the same experience that my husband and I had after our grandson, Jordan was stillborn. We didn't want to intrude, but we wanted to be there and let my daughter and son-in-law make the decisions. They were so strong, but now I know that grieving parents have supernatural strengths, that get them through the first days after they lose their babies... and in the months afterwards. Like you, we were new to witnessing this grief and it surprised me so much, then I started reading blogs of parents who had lost their babies.. and was again amazed by their strength and their deep, deep love for their babies. My thoughts are with you and your family. Is there a group for grieving grannies ? I lost my beautiful Grandson Memphis John only 14 hours ago.My son and daughter in law are just about to let him go and are saying their final farewells now. I write this as tears stream down my face feeling shattered. My first born first baby and there is so much pain in my heart at the moment. Perfect baby boy in every way but at 20 weeks and 3 days just not big enough. Incompetent cervix just couldn't hold him in any longer. He passed away during the labour but at least we know now and hopefully if there is a next time this will never happen again. My love goes out to all the Parents Grandparents and families. This is the most heart wrenching thing I have ever been through. RIP my beautiful boy. Nana and Pop love you so much.